I just LOVE rutilated quartz and these AAA grade drops are spectacular (and they are the sticks in the name :) ). 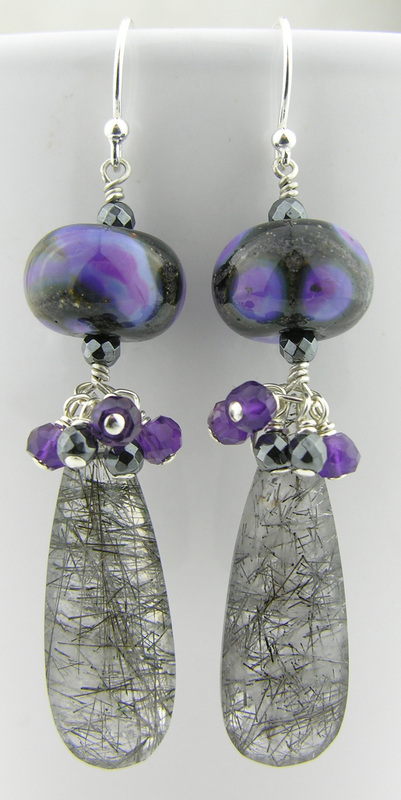 They are gem grade and above them dangle faceted hematite and gem quality dark amethyst beads. 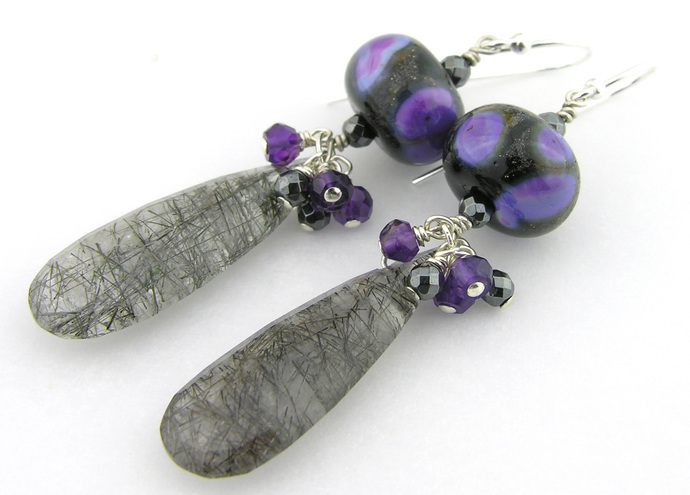 Topping it all off are beautiful, artisan made lampwork beads with a black base and swirls and splotches of purple. 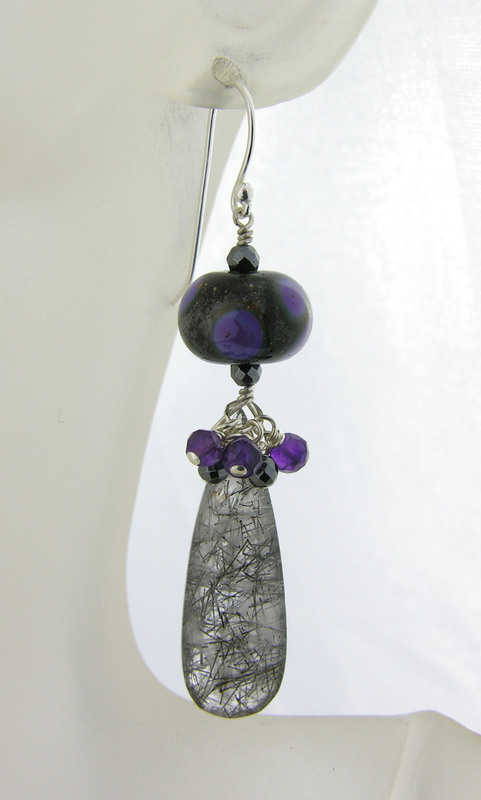 All are wire wrapped with sterling silver wire and hang from sterling silver hook style ear wires. They hang down about 2 1/4" (5.7 cm).